KVANGELD.....You are my HERO!!! Never have I come across a person who has so much firsthand knowledge of this spot. As mentioned previously, I have tried many times and failed (although, based on your descriptions, I have been VERY close several times!!). I look forward very much to more discussions about this. I am VERY interested in your pictures and would also be very interested in your map that you have plotted of the 50 mines in the Silver Star area. Please feel free to contact me by e-mail. I am VERY interested!!!! Thanks so much for your contribution!! Are you located here in the local Washougal area??? To get to the next picture, change the digits at MiningXXX.jpg up one integer. It goes up to Mining028.jpg The first five or so are pictures of the tailing pile, which is about 30 feet high and lies along the creek. The miners built a trestle with tracks for the mining carts along the creek, and worked bacwards as they dumped tailings off of it. Now the trestle is completely buried by those tailings. 12-14 look at the depressions where the mine mouths were blown in. The next images show the various mining implements that are around the site. The size of the implements tends to get larger as you look at more of the pictures, until you get to some really astonishing things. It is the remoteness of the site that keeps people from taking all of the stuff there. Thanks kvangeld for the detailed info! Well, you know at least two of us who would be interested in going with you. I am also interested in the map info that Gixxerdawg mentioned. The whole Silver Star area is one of my favorites. I have found two mines after you go down a gated road #4107 and cross Copper Creek via a large log and hang a left going up some old very rocky roads. It has been quite a few years ago, but off the Star Way trail I found an old "cabin" on a steep ridge headed up to the top. kvangeld, Was there an actual Copper City and did it have buildings etc. ? Thanks for the info. Looking forward to hearing from you. Last edited by rwerland; 02-19-2007 at 11:48 PM. Kvangeld......Excellent pictures! I look forward to more tales of your adventures with this site and the other sites that you mentioned in your post. Keep up the great posts!! Okay, I have improved the picture site, adding captions to the pictures. EDIT: I will post again later this afternoon. Last edited by kvangeld; 02-19-2007 at 09:57 AM. I have found two mines after you go down a gated road #507? and cross Copper Creek via a large log and hang a left going up some old very rocky roads. Yes, I think I have been to those. Are they up pretty high on the hill? I only went to those once. Most of the others I've been to several times. There are a number of mines on Copper Creek. Most of them just a bit above the water line. The biggest one is the one we call the Copper City mine. It is about 340 feet long if I remember correctly. It is downstream about an 1/8th mile from the Copper Creek car bridge (the next bridge downstream from the road you listed above). It is on the North side of the creek. That is the one we first started looking for. We started at the bridge adn walked downstream and went right past it some how. It is plain as day. Since then, we have found many which has helped us to identify signs that point us to them. Once you've been to a few you can start to recognize them much easier. It has been quite a few years ago, but off the Star Way trail I found an old "cabin" on a steep ridge headed up to the top. I have been all the way to the base of Silver Star Mtn on that trail at least twice and don't think I saw it. I am sure there has to be a mine or two on that creek, but haven't found one yet. That was the only hike I was able to take this summer with my boys. The trail is now virtually gone once you get close to the end of the first rise. It was a very hard trip, and reminded me of the last Maybee mine trip. I would love to know a little more precisely where you found the cabin?? Ws it just a bit around the corner as you leave the copper creek valley and transition into Star Creek Valley? I seem to remember something there a long time ago. According to a news paper article written at the time of the fire that came through and burned all of the buildings up, a couple of miners were up at the "city" and ran for the Copper City mine to escape the fire. They climbed in and waited it out. I don't think it was much of a city, probably a few buildings and such. As I understand it, there was a pretty good sized city up around the Skamania and Last Chance mines. I believe I read there were about 1,000 people living there, several hotels, and one of the first telegraph lines in the State. I need to get out all of my old notes, articles, and maps to refresh my memory on some of these things. Otherwise, I hope that helps. As many of you may know, there are other mines near the Maybee mines. There are several located near each other one valley South of the Shirt Creek Valley (Bluebird Creek) John and I referred to them as the Bluebird mines. Anyway, those take a bit longer to get to than the Maybee mines since you have to turn off Southwest at the juction of Shirt Creek and Bluebird creek. And you have to either climb up, or go around a bit of a waterfall to get to them. There are at least 4 to 6 mines there. When we first found them, we could get into most of them. The second, and last time we went, they were in much worse shape and I think we could only get in one. There is also some remains of the mining operation there, but not near as much as at the Maybee mines. Although I think that is where we found a mining cart still in very good condition. Another mine, or mines, that are near there are the ones on Silver Creek. That valley is south of Blubird creek and is a major valley. So it is an all day trip by itself. We have never found these mines. We only had one shot at finding them and were unsuccessful. Actually, we were trying to find the Maybee mines and took a wrong turn. Since we wasted a bunch of time, we decided to just look for the Silver creek mines instead. But we never found them. The best way to get to any of these mines is to get permission to go past the green gate (there are cabins down there along the river). John and I thought it would be fun to try and rent out one of the cabins (don't know if they do that) for a week, and use that as a base to clear out the old trail up to the Maybe mines. With a couple of chain saws and motorcycles, clearing the first half to the trail would be pretty easy. The second half of the trail on the other side of Bluebird creek would be much more difficult. But it would be fun to camp out and do that. My boys would like to hike in to the Maybee mines and camp out for a day or two with the intention of opening one of both entrances. It doesn't look like it would take too much to do that. Although I wonder what the air inside would be like? Anyway, it sounds like it would be a great adventure, and I would love to see what the Maybee mines look like inside. I hear the quartz vein they were following was over 4 feet wide in places. Makes my heart race just to think about it. The last mine that is supposed to be in that vicinity is a valley or two north of Bluebird creek. Which puts it somewhere accross the Washougal from Prospector creek (gotta love that name!) John and I looked over there once, but came up empty handed. We found old roads and stuff that made it look like the right place, but couldn't pinpoint any mines. Guess we will have to try again another time. So, does anyone else have any experience with any of these mines? If so, I would love to hear about them. I will eagerly check the forum on Tuesday. Which Silver Star mines have any of you been to? Ok, I am going to give you all a chance to let us know which mines surrounding Silver Star Mountain you have been to. For the record, there are mines on all sides of Silver Star, North, East, South, and West. As well as a couple way up high on the mountain itself. Anyone found the Silver Creek one yet? How about the one that is about 3,000 feet long, that was still open as of two years ago? Hi Kirk. Ryan here. I have been to the two little mines up the dead end road over the log (before the new bridge of course) at Copper Creek and hang a left and climb up. These two caves were pretty lame. A bear wouldn't even want to go in these . I think some of your boys were in a cave (peeking out) that is along Road 41 just off the road. I have been up Star Creek a little ways, but have yet to explore it further. I need to take a machete if I remember. I lost a nice pair of sunglasses on that old road next to Star Creek. I found an abandoned Isuzu Trooper there in 1995. 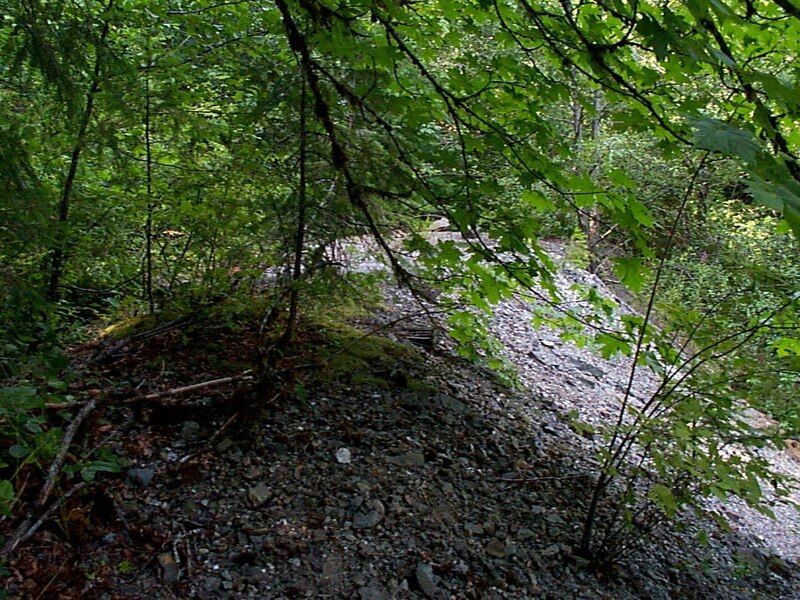 I noticed on the USGS map that there is what appears to be a huge waterfall at the end of Star Creek. I would be interested in know where the 3,000 ft. deep cave is and if and how far you have been into it. I think my brother and I may go up this Saturday (weather pending) and try to find the cave you mentioned on copper creek at the Road 4109 car bridge crossing. Last edited by rwerland; 02-21-2007 at 12:10 PM.